​When considering hiring a window cleaner around Soquel look no further than Pure Light Window & Gutter Cleaning service. Soquel is a wonderful place to live being so close to the ocean and yet surrounded by lush beauty. While many of our regular customers in Soquel enjoy having their windows professionally cleaned, rain gutter cleaning is especially important. Homes located in area's such as Rodeo Gulch, Porter Dr. Old San Jose Rd. 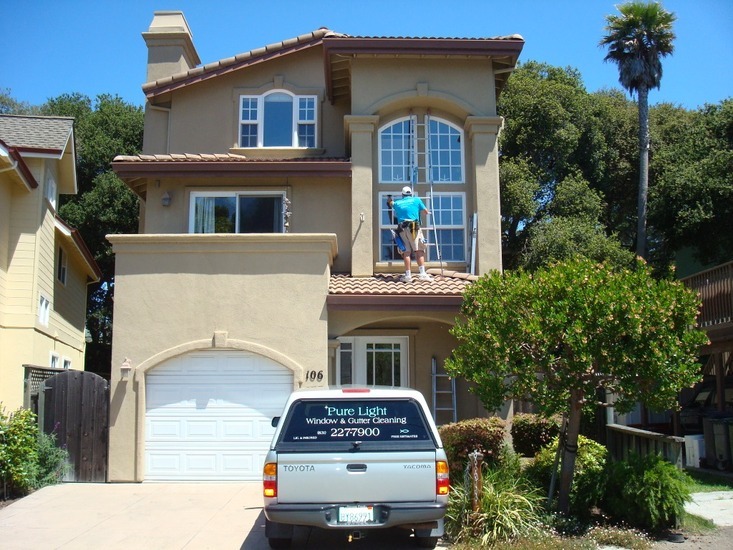 all the way to Santa Cruz Summit all require annual roof clearing, gutter cleaning and downspout flushing. Pure Light, is committed to providing the highest level of professional and affordable window cleaning and gutter cleaning in the industry. We offer FREE on-site estimates to all who call Soquel home.